Back to Boogie basics here. I have a really nice relatively unknown UK boogie heater for you. 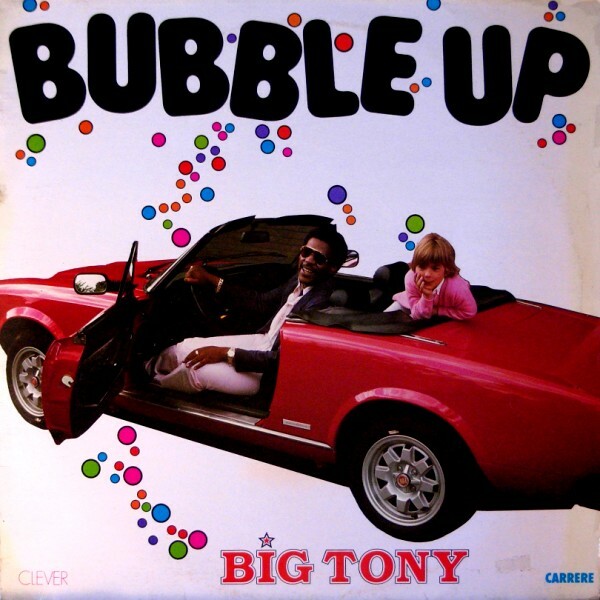 This isn't the same Big Tony as the famed percussionist for Trouble Funk. But, this bomb is just as heavy. 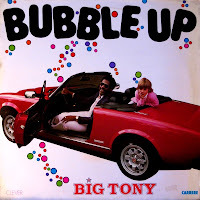 It;s the flip side of his 'Bubble up' single and can be found for cheap on 7 inch and 12 inch. Don't know too much about him, but you probably heard this on European airwaves if you're old enough. Time for me to unload some newer fresher tracks to my boogie brethren. I know a lot of readers enjoy our chapters of modern and boogie stuff quite a bit. I think I'll start mixing this tune into my bag for the Sweater Funk parties that are coming up. We've got some big ones that I'll tell you about in the near future. 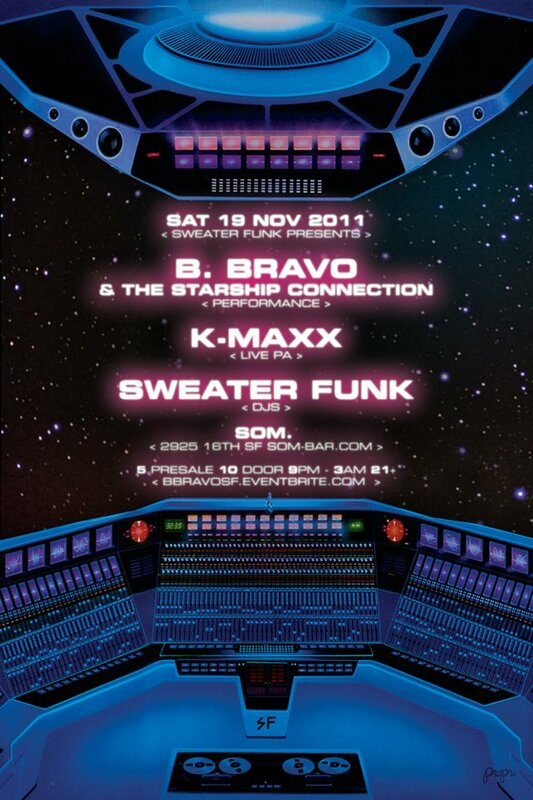 The most pressing one is this Saturday with live performances by Bay Area modern funk outfits B. Bravo Starship Connection and none other than K-maxx. Ken, aka K-maxx will hopefully be putting out a few records on our Sound Boutique Record label. 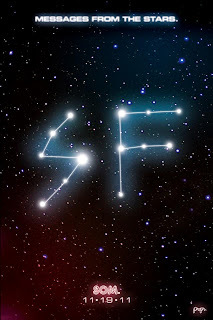 Just check out the stunning Artwork done by Freddy Anzures. He takes your eyes right out of them sockets. Kills it every time! Just wish he had made a limited edition black lite poster! 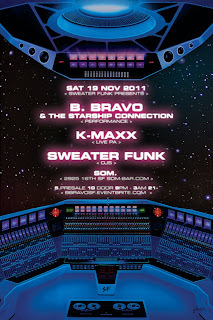 Also, please check Tres Lingerie who will be spinning at Sweater Funk this Sunday. Peace. See you in the streets!